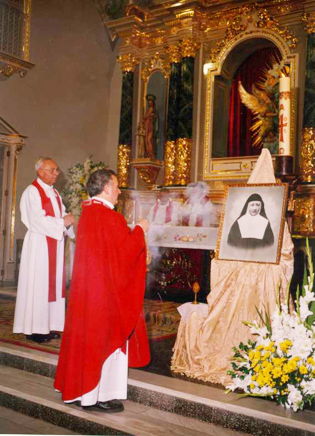 The Holy See has appointed 3rd October as the day for the liturgical celebration of Blessed Maria Guadalupe. It has the rank of feast for all monasteries of contemplative Servite nuns and that of obligatory memorial for the remainder of the Servite Family. There are proper texts for the Mass and the Liturgy of the Hours, and others are taken from the Common of Virgins or of Martyrs.